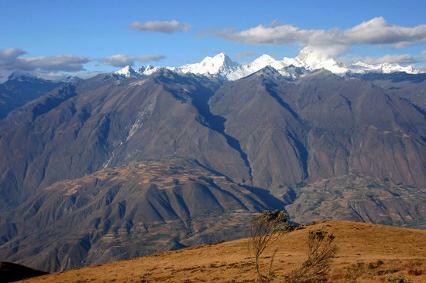 A major component of PIARA's mission is to conduct archaeological investigations that reveal the rich prehistory of the highland Andes in Ancash, Peru. Focused on the province of Huaylas, PIARA has performed surveys in the northern Callejón de Huaylas valley and excavations, mapping, and material analysis at the archaeological complexes of Hualcayán, Pariamarca, and Aukispukio. The majority of our work has focused on Hualcayán, where ongoing research is uncovering four millennia of ritual and agricultural practice in a mound, plaza, and terrace complex called Perolcoto, conducting a funerary and bioarchaeological study of the site's numerous chullpa and machay tombs, and investigating domestic life in residential patio groups. We have also we collaborated with the American Climber Science Program on a USAID-funded program to explore how people living in the Cordillera Blanca are experiencing climate change. The glaciers of this mountain range, which have provided ample water for communities across Ancash for thousands of years, are rapidly disappearing. 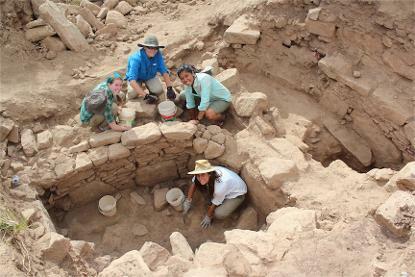 Want to learn more about PIARA's archaeological research? Watch the video above on PIARA's celebration of the 2014 Day of Archaeology for a glimpse of the PIARA student and staff team in action during a small research season. On that day we conducted research on ceramics, lithics, and human remains the lab, mapped in preparation for aerial photography in the field, and advanced a host of community development projects. This variety of tasks is a part of PIARA's commitment to a multi-disciplinary and applied approach to archaeology.